Currently, Ethiopia is ranked 174 out of 187 countries in the Human Development Index (2011), with approximately 78% of the population, or nearly 80 million, living on less than $2.50 a day (as of 2010). Nevertheless, its microfinance industry is quickly growing and improving. 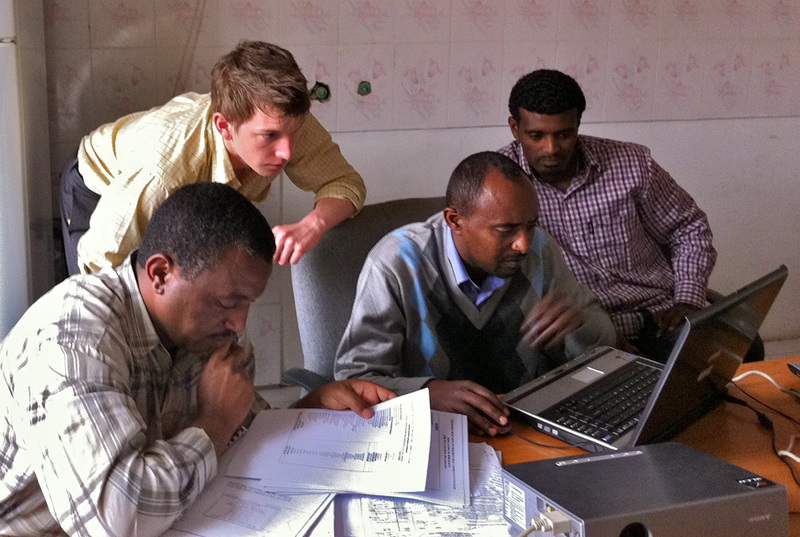 Eshet, for example, now serves approximately 20,000 clients throughout Ethiopia and recently switched from a paper-based to a computer-based system in several of its 12 offices. During my on-site, I had the pleasure of working with three highly professional staff members who were largely responsible for this growth. Together, we built out the BwB financial model using some of the new tips and tricks they had had learned during our training sessions. By the end of the week, the staff was not only able to update the model, but could also manipulate its format, present their findings using PowerPoint and had already generated numerous ideas for how to innovate the model for other business uses. When I left, I felt confident that our work would continue to benefit the MFI and its clients long after my departure. This transfer of knowledge and skills is what makes BwB a uniquely impactful program. Like my client, many MFIs have highly capable staff and the resources available to carry out meaningful work. Once these MFIs have updated their systems or received some foundational training, they are able to hit the ground running and develop their own solutions to the challenges facing their communities. Bankers without Borders meets a critical need of the microfinance sector – capacity building – at a fraction of the cost of a paid consultant. As a proud participant in this innovative volunteer initiative, I look forward to continuing to work with both Eshet and Grameen Foundation. This entry was posted on July 17, 2012 at 6:00 am and is filed under Africa, Bankers without Borders, BwB-Import, Ethiopia, microfinance, Volunteering. You can follow any responses to this entry through the RSS 2.0 feed. You can leave a response, or trackback from your own site.